I have done MBA and now I want to do job in Food Corporation of India FCI so is there any latest recruitment in this Corporation for MBA? Food Corporation of India was established on 14 January 1965. It is one of the largest corporations in India and probably the largest supply chain management in Asia. 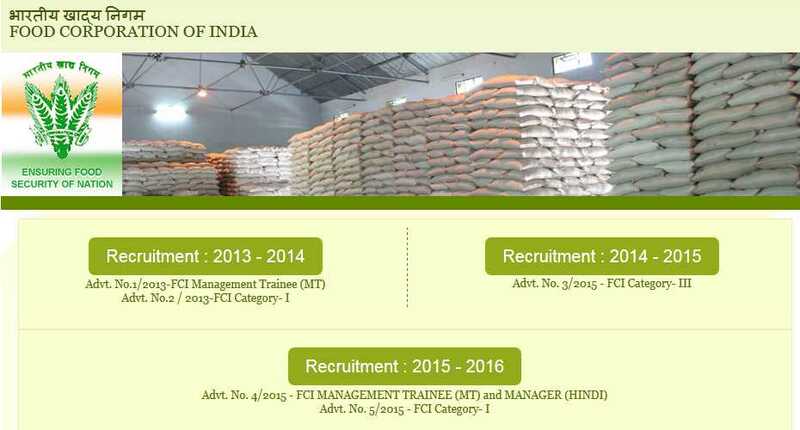 There is no latest recruitment in FCI for MBA holders. Here I am telling you the process to get the details of the latest recruitment of it. On this page you will get the details of all the latest recruitment of FCI.